“When we don't pray, we quit the fight. 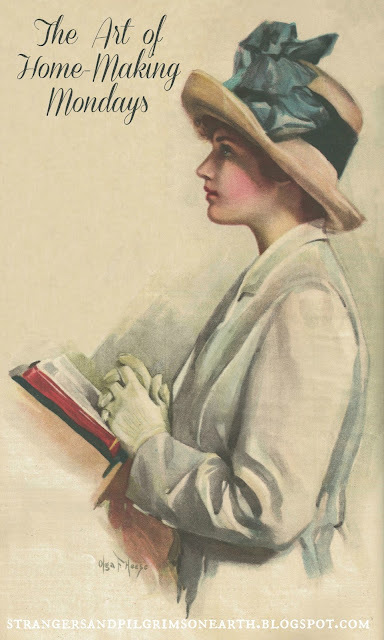 Prayer keeps the Christian's armor bright. And Satan trembles when he sees. 2. Lovely Teapot Clutter by Bernideen's Tea Time Cottage and Garden ~ This post was a sight for sore eyes! Do you need a bit of a break from all the ugly headlines and news? I encourage to take a visit over to Bernideen's. I personally can't stop looking at the pink rose quilted tea pot. 3. 8 Do's and Don't to Remember During Your PMS Days by Women Abiding ~ The title says it all ladies. This is an excellent reminder and something to print out for those "special" days! 4. DIY Bird Feeders ~ Op Shop Style by Sufficient Grace ~ What clever bird feeders she has made from second hand glass found at thrift stores. There is a variety of styles and inspiration for these vintage style bird feeders. I love this project! 5. Fun Penguin Crafts for Kids by Sight and Sound Reading ~ I absolutely loved learning about penguins and wish we had this resource when we did our unit study. These crafts are a thematic study in itself; just make sure you read aloud the fun chapter book, Mr. Popper's Penguins to complete it! 6. Block 1 "Gentle Domesticity" by Jenny of Elefanz ~ How do I begin sharing my adoration for this free download and beautiful homemaking piece? I was in need of an embroidery project and was thrilled to discover this! You will want to download the pattern before the end of the month (while it is free of charge). 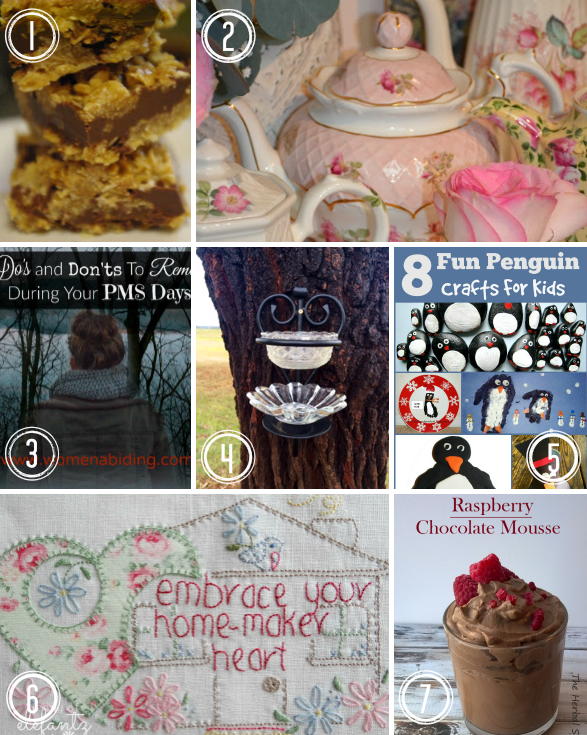 Jenny also shares some lovely sentiments and inspiration on loving your homemaking heart. Her blog is just beautiful! 7. Raspberry Chocolate Mouse by The Herbal Spoon ~ Just in case you didn't realize how much I loved chocolate, I felt the need to do a "double dessert" feature this week. What is wonderful about this beauty is it is a whole foods recipe which is sweetened with honey. 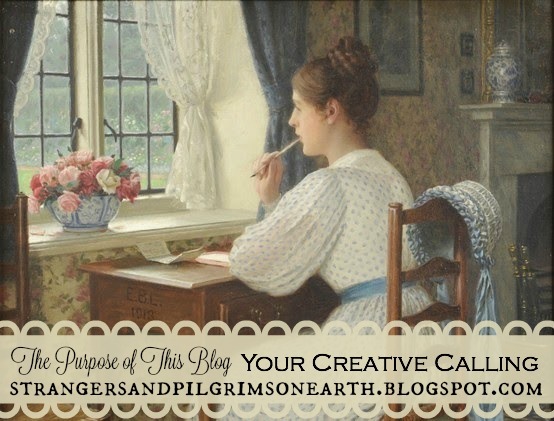 I also wanted to take a moment to thank you for all the kind comments left on "The Purpose of this Blog ~ Your Creative Calling" post. I have a real concern for being misunderstood by people I can't see face to face and you have encouraged me so much! Also, a great thank you for those who have supported this site over the last few years! Perhaps one day I will be able to upgrade to a website with more user-friendly printables (the current system leaves much to be desired). Well, I don't want to delay you from visiting the excellent features this week, there were so many wonderful posts shared, it was hard to choose just 7! Please do stop by and leave these ladies some comment love! This post may be shared with some or all of the following link-ups: The Art of Home-Making Mondays, Modest Mom Monday's, Monday's Musings, Make Your Home Sing Monday, Good Morning Mondays,  The Scoop, Titus 2sdays, Titus 2 Tuesdays, Roses of Inspiration, Tuesdays with a Twist, Raising Homemakers, Wise Woman Link Up, Homestead Blog Hop,  Wow Us Wednesdays,  Coffee and Conversation, Homemaking Thursdays, Home Sweet Home, Our Simple Homestead, From the Farm Blog Hop, Front Porch Friday Blog Hop, Awesome Life Friday Link Up, Five Star Frou Frou Friday, Simply Natural Saturdays and Clever Chicks Blog Hop. Thank you lovely ladies for hosting these. Hi Jes, thank you so much for the feature and the link-up party. I'm glad you enjoyed my bird feeders.I hope you have an amazing week. Blessings, Elisha. Good morning my sweetest, dearest JES and thank you for giving me the chance to begin my week hosting me here once more ! Oh, JES! It has been simply too long since I last visited, and when last I shared a post in The Art of Homemaling Mondays...I cannot recall! How I have missed stopping by, as your lovely blog is so very inspiring! Thank you for sharing your heart through your blog, and for once again hosting an enjoyable link party! May your week be ever so blessed and lovely! Thanks so much for the party, Jes!! Good Monday Morning, JES! What lovely features you have posted today. The only thing holding me back from making the raspberry mousse is having to wait for 3 hours until I could gobble it down. o.O It sure makes my oatmeal look plain, lol. Thank you so much for featuring my post on this weeks party! You have such a lovely blog and a truly loving place to visit! Hope you week is delightful. I am honored. Happy Monday, my friend! It's a pleaure to be linking up with you today :) Have a blessed week. Love and hugs! Awe..Jes, thank you so much for the featuring of my post. You are too sweet! I love the quote at the beginning of your post, I don't ever want to quit the fight...so I best never quit praying! Love it! Thank you for faithfully hosting Jes. So many good things here. I just spent an hour thumbing through these--oh my! Thanks for hosting! I found two great posts that are getting me ready for February. I hope you have a lovely week. Thank you Jes for hosting this party each week. I'm glad I could join this week. Happy Monday and have a great rest of the week. Dearest JES, This is my first time linking up here. Thank you for the opportunity. I just love your blog. So much peace and beauty. Such inspiration for our calling as Godly wives and mothers. Thank you for all you do. Thanks for hosting the party Jes. Sorry so late but I've had such a busy week. Hope you enjoy the rest of the week.